The world is going through a new wave of automation: across organisations areas are identified to apply machine intelligence to automate tasks. This means not only cost savings and increasing efficiency for companies, but an opportunity to learn over time and make an organisation sustainably smarter. While we’re far away from real Artificial Intelligence (AI) the speed of innovation in the areas of Machine Learning, Deep Learning and Natural Language Processing is very high. As outlined in this quarter’s McKinsey review after predictable physical work, data collection and processing are most susceptible to be automated next by adapting currently demonstrated technology. It’s not just entry-level workers or low-wage clerks who collect and process data; people whose annual incomes exceed $200,000 spend some 31 percent of their time doing those things. The recruitment space is prime for automation; the hiring process necessitates the screening of a high volume of candidates. The competitive nature of the job market on the applicant side often results in hundreds of applications for a single role. Many of these job applications will be rejected after an initial screening process, which filters out unsuitable or unqualified candidates, usually just by reviewing the candidate’s experience and maybe asking a few qualifying questions. 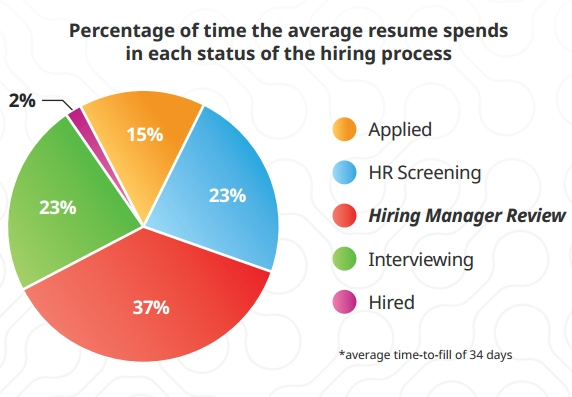 This screening process takes a vast amount of recruiters’ time and yet is the simplest part of the process; recruiters time would be better spent going much deeper with suitable candidates. While the hiring process requires considerable human interaction between a candidate and the hiring company there are many tasks that humans have to do extremely often during which decisions are based on always the same data in a known context. 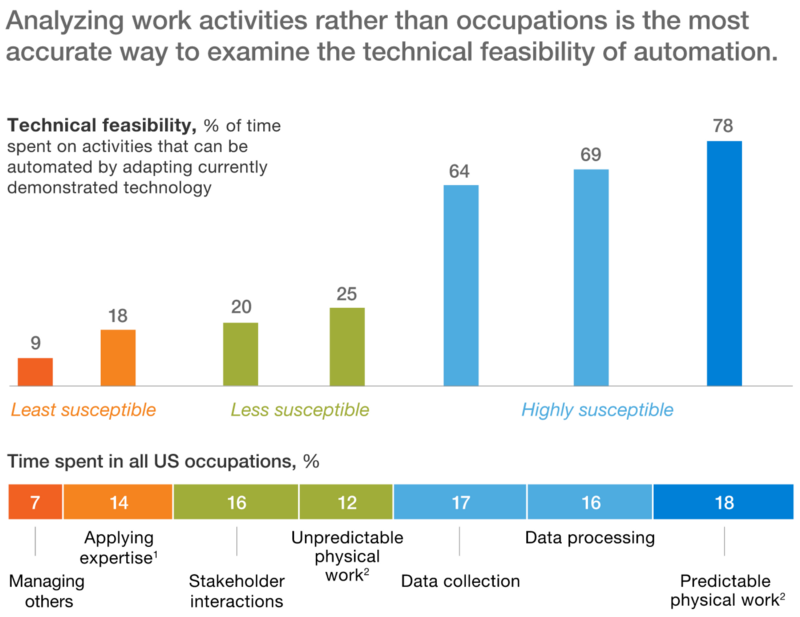 Not surprisingly, different tasks have very different feasibilities to be automated in the foreseeable future, which depend on technology available, costs of technology development vs. current labor doing these tasks, societal acceptance and data available. To our advantage there’s a lot of data from the hiring process available: the entire process is conversational — much of it text-based — and we can analyze this data to apply Machine Learning and Natural Language Processing to automate an increasing amount of tasks currently done by humans. Everything will be digitalized and many tasks will be automated in the near future. At jobal we focus on something that is not automated at the moment, but is technically feasible and saves companies a lot of time and money: collecting (missing) data about a candidate and checking on core job requirements. Bias — be it conscious or unconscious — negatively impacts hiring decisions constantly, often leading to high-quality applications being binned even before an interview and resulting in missed opportunities to hire great talent. A major advantage of employing machine intelligence early in the recruitment process is zero bias; candidates are judged purely on their merits. The speed at which new candidate applications can be progressed is another advantage of automation; candidates can be screened in real-time as they apply since a bot works 24hrs per day and get immediate feedback. 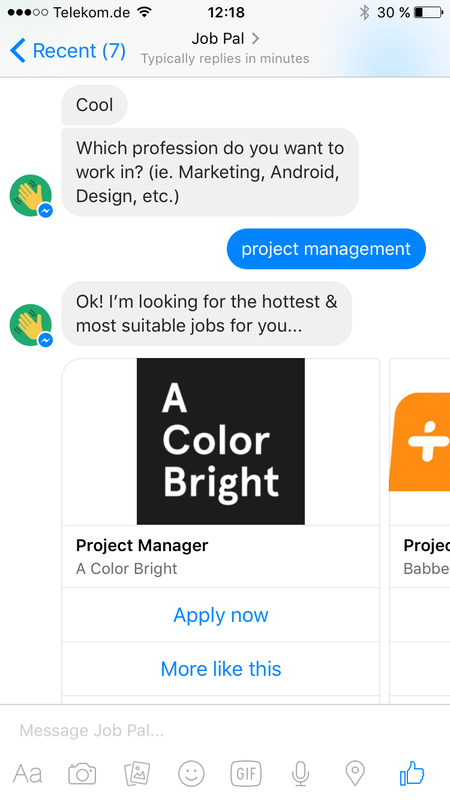 Distribution of chatbots on mass messaging platforms such as FB Messenger (over 900m users) also increases the chances of connecting with new candidates that competitors might miss out on and lets companies connect with the next workforce. There are several enabling factors that make recruitment automation possible right now. The sudden proliferation of distribution for chatbots (FB Messenger, Slack, Kik, Wire, Telegram, WeChat, etc. ), combined with an explosion in APIs, tools and open-source libraries for AI, NLP and chatbot development provide fertile conditions for chatbots for all sorts of applications to thrive. 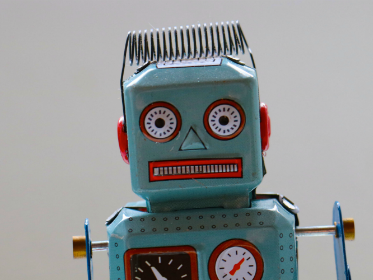 What makes chat bots particularly suited to recruiting is that candidates expect a conversational structure to their interactions with a company HR team already. 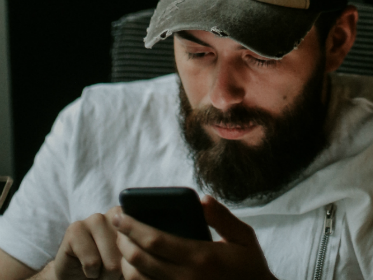 Whether a screening takes place via a phone call, email or a chat window makes little difference to the candidate, who is likely to be increasingly used to using messaging for myriad interactions. 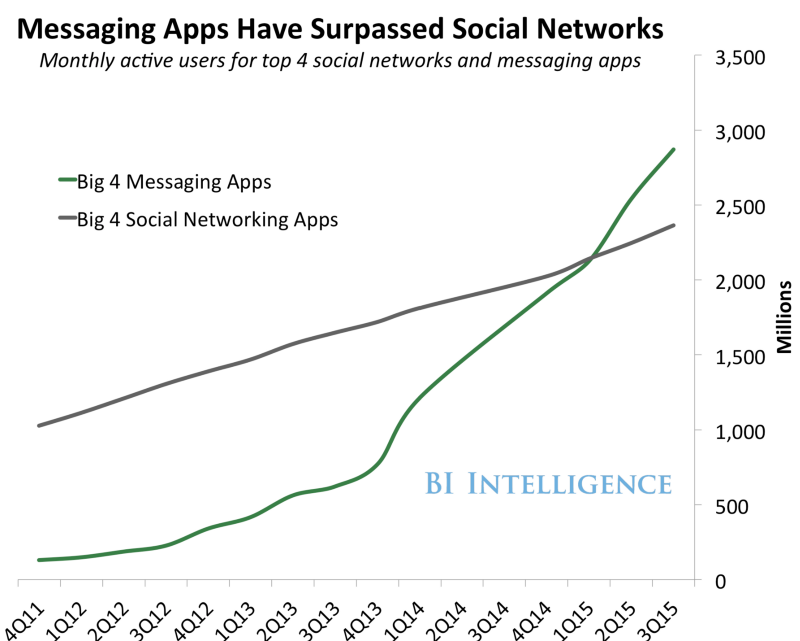 Messaging apps are the new social platform, with higher engagement than traditional social networks and insane adoption rates, with over 2.5 billion people having at least one messaging app installed (and many using several on a daily basis). While the traditional App Stores become ever more crowded, this is not translating into higher engagement with apps; users are choosing to spend their time with a decreasing number of core apps. This means that in order to reach mobile users, being available inside one of these core apps is increasingly the best option; enter chatbots. By engaging in a short discussion with our chatbot jobseekers discover jobs relevant to them and in a few simple steps can apply for one or more positions, all via a chat session. No app download. No new profile. Users enjoy the quick and simple process, as well as being able to do this via a messaging platform they are familiar with (Facebook Messenger is the platform we launched on). Our bot is platform agnostic, meaning that the intelligence we build can live as a standalone white-label recruitment solution on a partner site, or live on any major messaging platform such as Facebook Messenger or Telegram; the underlying logic and back-end are the same. Recruiters love it because it saves them time and the candidates like it because we have simplified the job application process for them. We see a higher percentage of users applying for multiple jobs with jobpal because we’ve made it so straightforward for them to put themselves forward for any roles they think they are the good fit for. The recruitment industry is primed for disruption and the intelligence that is currently developed will help bring the recruiting industry forward in a way that will bring about more advances than anything seen in the past 20 years. Collecting data about candidates and checking core job requirements in a chat interface might seem like a small step, but already means a huge decrease in time and money spent for big companies. With increasing intelligence, we’ll be able to automate much more of the hiring process and let recruiters focus on what really matters: relevant candidates!